Now that you have decided to grow some of your food, have you decided how to preserve and store it? There are three ways to “put up” food: drying, freezing or canning. Freezing is fast, easy and can keep much of your harvest tasting “fresh picked.” In regards to freezing, the biggest obstacle for most is affording the expense of the freezer. Think used! Check Craig’s List or other local listings of used appliances. If you decide to buy one used, do not buy one too old or it will use electricity all the time. Old appliances are not very energy efficient. I suggest getting a self-defrostng freezer. Though they use a bit more energy, it is worth not having to chunk your food out of the igloo that grows in your freezer. Make sure to purchase an alarm to detect a loss of electricity. Once we lost about a quarter of a cow and a few meat birds when ours went out. Depressing? Yes! 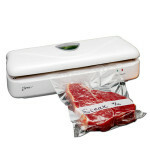 Though you can freeze in plastic containers and zip bags, I like the vacuum sealer, best. A sealers gets all the air out of the bag, which preserves the taste of food and prevents freezer burn, make the packages smaller (less room in the freezer) and I can see through the bags. That is really important in food use. What is the saying? “Out of sight, out of mind. May I add one more thing? Boiling frozen food in those vacuum sealer bags is toxic. Just as we should not microwave in plastic, bags are made out of the same petroleum BPA chemicals. Heat releases those chemicals so freezing; ok… Heating them; bad. Drying is useful for herbs, some fruit and making meat jerky. Learning to can will come in very handy for you and allow you to keep any foods you want. I am a canning enthusiast; it is art. I think jars of food are as beautiful as Faberge eggs! Like a squirrel is happy with his collection of nuts, if I have canning jars in my pantry, I feel rich. I love cooking in bulk and canning the meals. You can use small jelly jars for individual servings or quart sized canning jars, for a meal for two. I love making spaghetti sauce out of my tomatoes and having it ready to pour over pasta. I make salsa, soup, bean dip, refried beans, taco meat cooked and ready spiced, have created my own thick pie fillings to can and many other things. Canning is not hard, but takes more time than freezing . I think canning is a better preserving method than freezing for tomatoes, jellies, pickled items and condiment type foods. I love having prepared jars I can open, warm and serve your food ,without waiting for something to thaw. 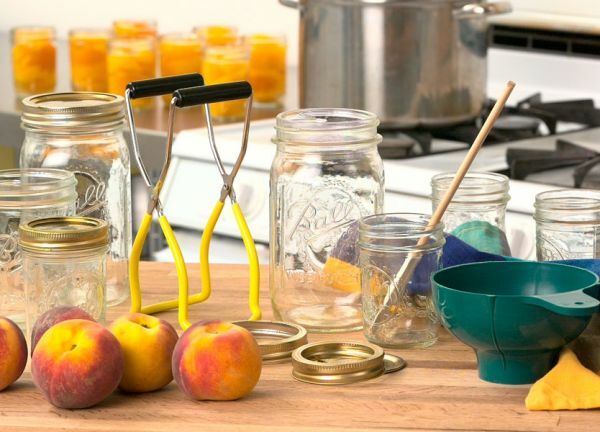 Canning costs a little to get started but the majority of the tools necessary are reusable and never have to be repurchased. 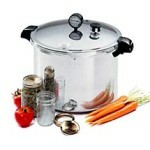 A pressure canner and a canning pot is necessary for canning. 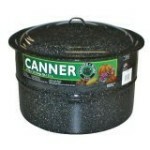 However, I use the canner for most homestead foods. It is just more safe than water bath canning. Back to canning; it is easy to find a used pressure canner. Check Craig’s list, Ebay, thrift stores and yard sales. If you live in the city and can’t find one, check out a thrift store in the country. I pretty much guarantee you will find one. If you buy a used canner, take it to your local extension office to have the gauge checked. It is important the pressure gauge is working correctly, so you are actually killing the organisms that may kill you. Neighbor, canning is an exact science and is not the place to cut corners or have defective equipment. You will need canning jars. Besides canning, they are very useful in the homestead kitchen. I use them for dry storage, wet storage and for a lot of things in between. I love that you can see through them. My kids use them to drink out of. We haven’t had a plastic cup in this house since a toddler sippy cup lived here. Jars rarely go on sale, so you might want to find some used . You can get them for a dime a piece! Never purchase jars with chipped edges. These will not seal properly and allow bacteria to grow. Canning lids and caps can be found at any grocery store, Wal Mart and other stores of that kind. The lids are not re-useable , but the screw on caps can be reused, as long as they don’t rust. You will also need a canning pot. This a very big deep pot, usually made out of light weight aluminum, that will be used for preserving pickles, stewed tomatoes and other foods with high acid content. 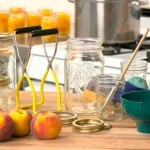 To lift the hot jars out of the canning pots you will need a canning tongs, a funnel for getting the food in the jars. Miss Vickie can help you learn now to can. Also, The Beginners Guide To Preserving Food At Home by Janet Chadwick is a great book to own. I found it as low as $8. Drying can be done in many ways; the sun, a dehydrator or the oven. Most herbs will be either hung upside down and air dried or in a dehydrator. Fruits dehydrated and meats either by a dehydrator or oven. I see dehydrators at thrift stores the time. There is no need to pay big bucks for one. So, how do you decide how to store your garden harvest? A little of each method really will likely work best for you. We all have freezers of some size. We can freeze some things and can some things. It simply depends on what your family likes to eat and how you will use your harvest. Your Menu List will best help you decide. Also, I am here for you, too! Never feel bad about asking questions. That is how one learns. 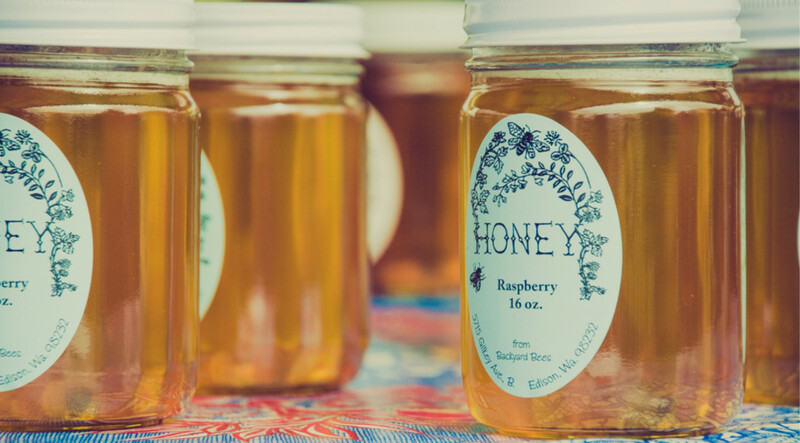 We will be talking a lot about preserving as we get closer to harvest time. Please share your success on finding your preserving equipment and books. I love hearing about great finds and deals!